Christmas is just one month from today! We are now one month away from Christmas! I had the evening news on tonight, and everyone is talking about Black Friday shopping. Apparently many stores have maps you can get so you have a clear idea of the store’s layout even before entering their doors. Fighting the crowds is not something I plan to do! 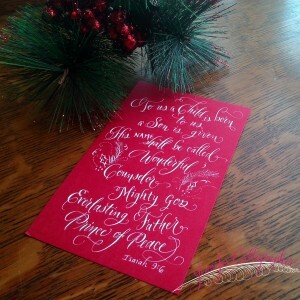 The other night, I penned this scripture verse in pointed pen modern calligraphy for a church project. The ladies in my church’s ministry group plan huge baskets for each of the pastors as a Thanksgiving gift… from food, to cards, to home decor items… they are special. The GREATEST joy of this holiday is found in GOD’s great gift to us – His Son, Jesus Christ! 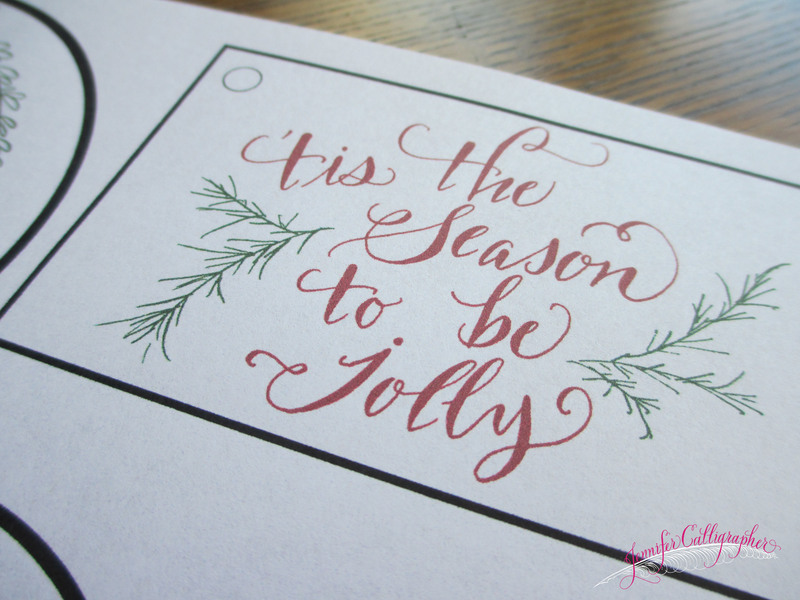 For this project I used red cardstock paper from Michael’s scrapbook section, my Nikko G nib, wooden oblique penholder from Michael Sull, and Bleedproof White Ink. 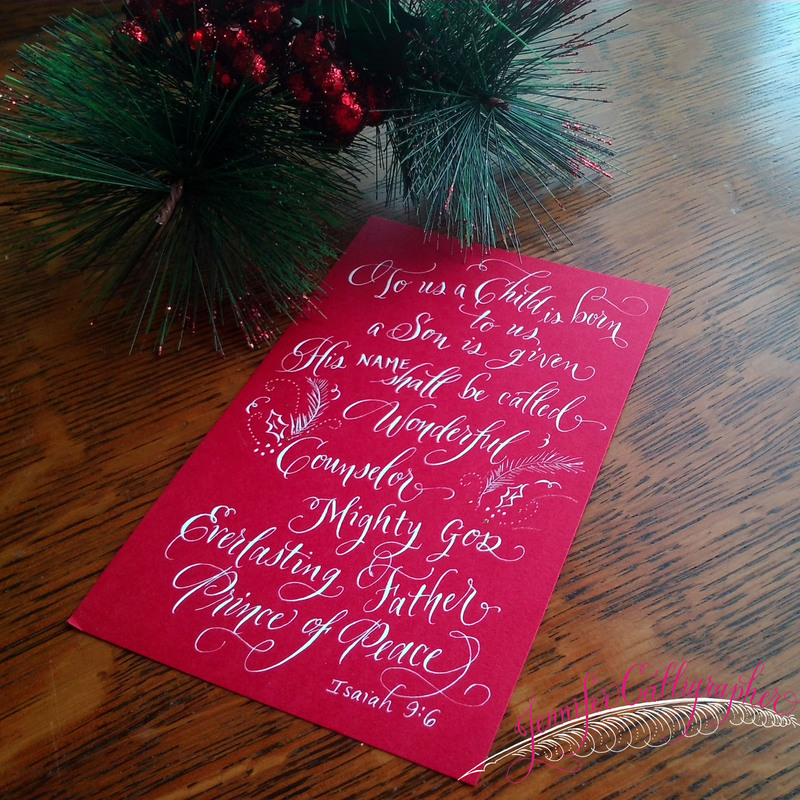 This Christmas season, we can all slow down and truly delight in the season. Call a friend. Make a handmade card and mail it. Bake the neighbors some cookies. Read the Christmas story found in Luke 2 and Matthew 1-2. Give away some smiles. Show some love. Wishing you all a blessed Christmas season!